Gradually, the entire document converted to an electronic format, but the use of digital signatures is still not massively widespread. So when you need to send an electronic document via the Internet, the question arises "how to insert my signature into a doc file (pdf)?". And if still no printer? Adobe Photoshop (but in the example we replace the online editor, in case the program is not at hand), camera/phone, pen, piece of paper (preferably white without lines). To make signature on a white sheet of paper (ink it is advisable to use darker and thicker rod). Take a picture of the piece and the photo transfer to the computer. Open the program Photoshop or online editor http://pixlr.com/editor/. 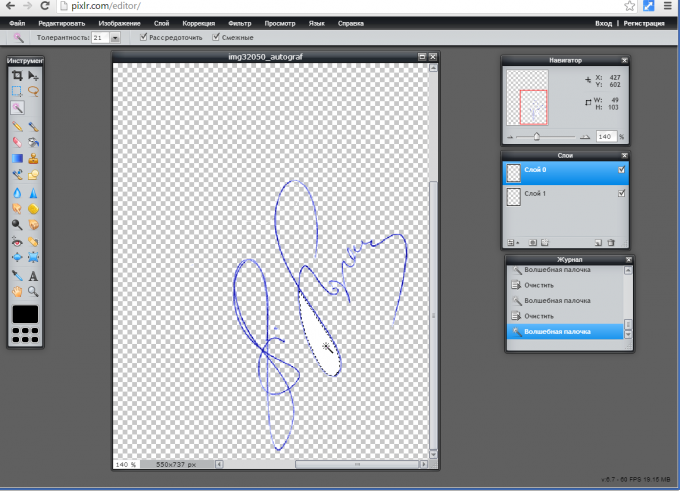 Open/download a picture of your signature. To ensure transparency in the editor you need to add the bottom blank layer: click on the "New layer" under "Layers". The layer with the photo and double click on the padlock (a tick), now you can put a layer above the empty layer. Using the Selection tool remove any excess around the signature, highlight and press the Del button. 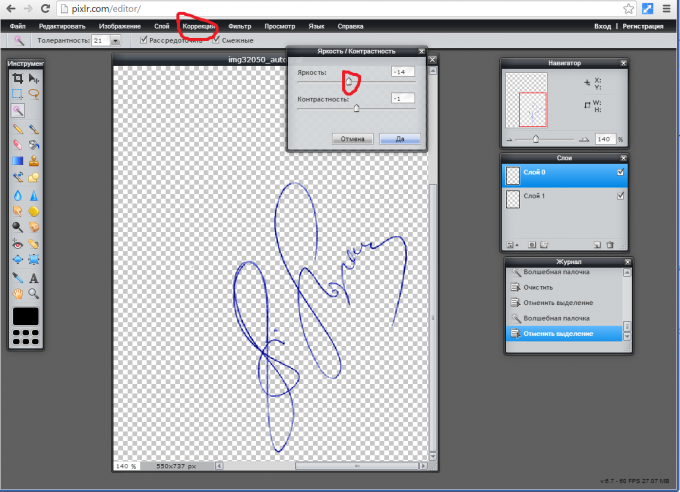 By choosing the Quick selection tool, click on the remaining empty space around the signature and press delete. In the same way to remove all the white portions in the closed caption elements. Then deselect with Ctrl+D. 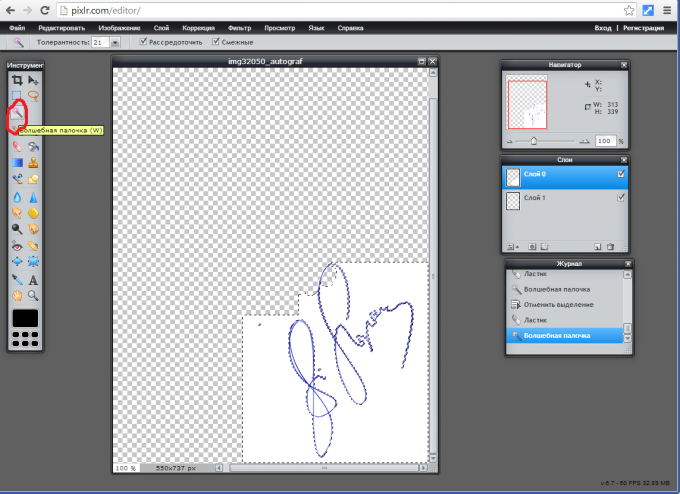 If the signature were bright and pohozaev, then you need to lower the brightness (Correction-Brightness/Contrast). Save: File-Save. Must be png format (for transparency). The saved image can be pasted into Word and there to crop, scale. If you dream of becoming famous or just want to have a signed passport and official papers looked solid, you just need a bright and beautiful autograph. Does not necessarily have a calligraphic hand, to know how to sign. The main thing - training: to get the hand to perfection, so she in any position could represent the necessary markings intact. Some of the celebrities of art "negligence" caused, in particular, speed of signing, sometimes does from the signature of the whole mystery. However, one thing is beautifully and boldly to sign for fans, and the other is strictly and carefully in the official papers. The basis of the autograph can take the whole name, but can be part of it. For example, try to draw the first three letters of your last name (this is a fairly common method). The option like stop. Next, enter in the consideration of the initials, the first letters of name and patronymic, and we write them in combination with the name. Put them in a different order, combine, for example, the location of one letter to another or the flow of one letter to another. If you are satisfied with the resulting appearance of the autograph, it is possible to bring in additional flavor of some of the original loop (especially if there is the letter "u" or "d"), switchcom have capital letters (mostly "B", "b" and "P"), or even reverse the defiance of the signature from right to left followed by a bend and an inclined line up and get a sort of ribbon. 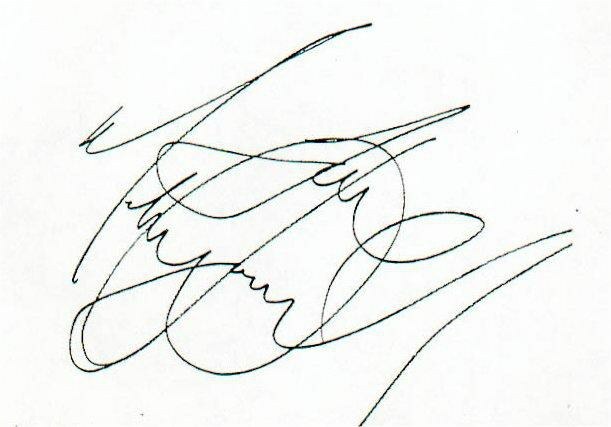 If you want you can learn to impersonate any autograph, but to minimize the likelihood of such a, keep in mind when you create the autograph, that it should be difficult to reproduce for other people, so all sorts of squiggles will be very useful. They are not only decorative in nature. You can still bring in the signature some of the features of the handwriting. If you find yourself in a situation when you urgently need a stamp, which is not at hand, you can make a quality copy, provided that you have a scanner, a color printer and some skills in the Photoshop editor. The original seal on any document, scanner, color printer, Photoshop. To get a good copy print, take a document with an original print with a scanner make a digital copy at full resolution. Open the resulting image in Photoshop, cut out the fragment with a stamp tool Crop Tool and clear the background from the text under the stamp tool the Clone Stamp Tool. You should get a clear copy of the print in high resolution. Now create a new image with size not less than what you already have by selecting as the background a transparent substrate. To do this, press Ctrl+N and select Background Contents Transparent value. Select the stamp tool, Magic Wand Tool. To do this, click the tool in the background and then invert the selection by right-clicking and choosing Select inverse. Take the Move tool and drag the seal on a new image with a transparent background. Merge layers by pressing Ctrl+Shift+E and save the result in GIF format by pressing Ctrl+S. Open the Word document and insert the saved stamp to the right place. Adjust the approximate size of print and print a test page. Refer to the original print size, then adjust the size of the print and print another test page. Perform adjustment of print size until, until you get an exact copy. Checking for accuracy is best defined by putting a copy of the original and directing the sheets to the light source. "Without signatures are not valid) are invalid". How often do we hear these phrases, or read them on the forms of documents. And put the printing Stamp, prints "paper" and "human resources", with the names of doctors in different areas of the document and in any order. The seal makes the document legal force. However, the exact rules governing the formulation of the seals are still there. There is no indication that all documents must have a seal. All we know, seal is put in the place marked "M. P.". But there are common rules that relate to this issue. Now, the seal is placed at the end of the document, which is signed by an officer, for example, a Director or head of Department. Thus, it is desirable that the seal was the signature. Thus, the seal as would be assured the signature and confirms that the person signing the document actually is an officer of the organization, as well as its right to sign documents of this kind. According to unofficial data, the first such practice was introduced by the notaries. In addition, sometimes require that the seal partially covered the name of the post officials, but not to touch his signature. At the same time, some stamped so that it does not overlap the signature, citing the relief of the examination (handwriting and printing). Currently, this rule applies only for the banking sector. What documents should have the seal? Labor agreements, labor book, internal acts of the organization, travel certificates, information and specifications, certificates of service, submission and application of employment, copies of documents, diplomas and certificates, powers of attorney, staffing, warranty letters, petitions, treaties, treatment of officials. 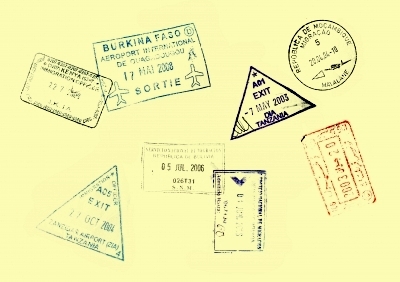 What kinds of stamps exist? 1. An official stamp. It shall have the right to put only public bodies or bodies endowed with certain state powers. An example is the notary's office. The seal is round. 2. Print equivalent to stamp. The print data can be put, for example, a commercial firm. In the center of the press usually depicts the logo of the organization. Around – the number of the certificate on state registration, INN. The seal is round. 3. Stamp. Usually contains text. For example, "Allowed", "Issued", "Paid", "Denied", "Copy" etc Shape rectangular. 4. Daters. Appearance is not regulated. Each organization decides for itself how it should look and where to stand. Is the automatic puncher of dates. 5. Simple print divisions. In the center of a simple print the full name of the structural unit, laid down in the Charter. For example, "human resources". 6. Facsimile. Is a copy of the signature of the official. The civil code prohibits the use of facsimiles for the accounting and personnel documents. The signature of each person is as unique as its bicharacteristic. It is a traditional method of confirmation documents and some operations and the peculiar way of identification. Copy of signature is the actual forging. Forgery and use of falsified documents is punishable by law, including criminal. 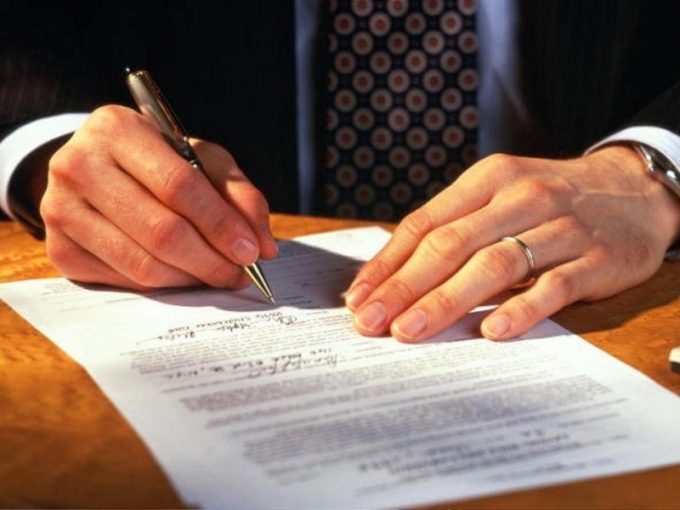 To copy signatures will need: a sheet of paper, where you want to place a copy of the signature and fountain pen – for a simple way to copy; computer, scanner, printer, paper and pen – for more complex ways.Scan the signature specimen, place the sample in the computer and print the sheet with the signature on blank paper or letterhead. 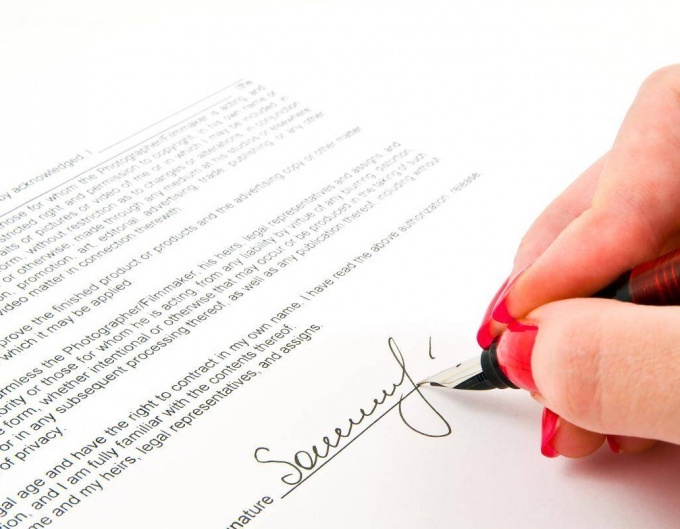 When you print on the printer, use the smallest color saturation, preferably blue or purple, so the signature was barely legible on the background paper. 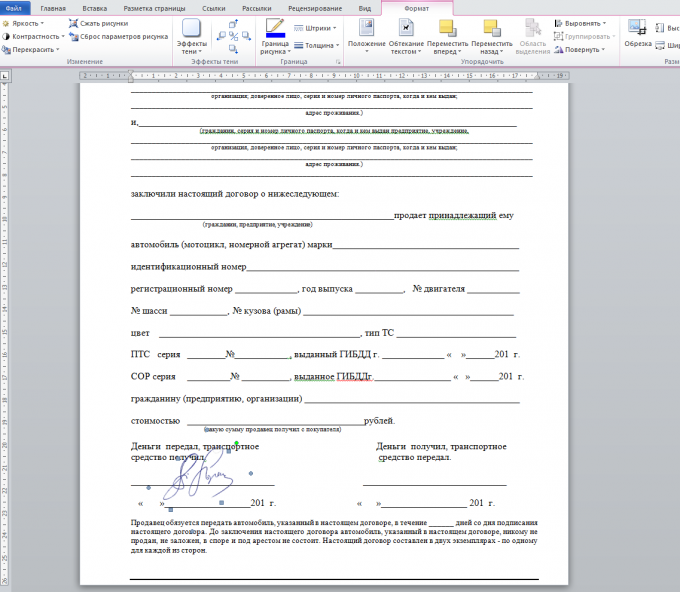 Printing a form with signature, carefully trace them with a pen. 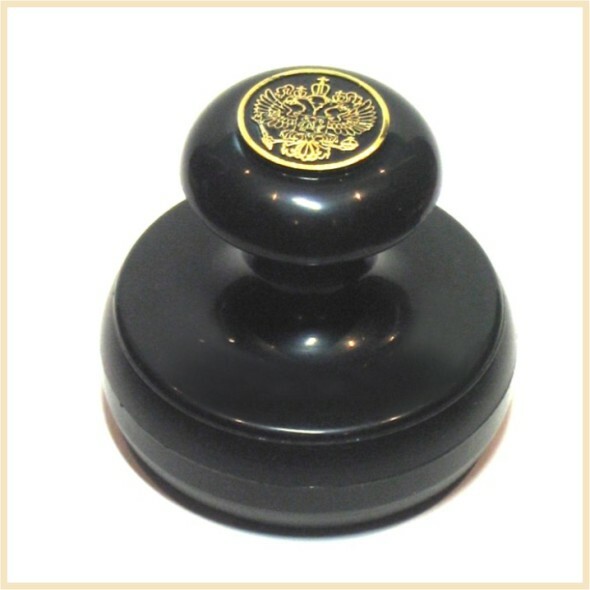 If you use a more simple way, put original signature on a blank sheet and using a fountain pen with a rod without ink, trace over the original signature, slightly pressing the writing, then print the signature circle pen. The same method of complexity: in the daylight to fix the document with the original signature on the glass window to put on top of a clean sheet and play pen translucent signature. For convenience and accuracy labels on the glass to play her with the rod pen without ink, and then on a more comfortable surface to circle the print with a pen with the paste. If there is a glass table, underneath the disposable light source, put on the table the document with the original signature and perform the same operations as on the glass of the window. The simple mechanism and the complex as a backup method (for those of us with high artistic potential) – to sign off on the model. Any copying signatures you can recognize. This is handwriting and technical and handwriting examination, so to avoid the risk of spoofing detection will fail. A special virtuoso in the field to get other people's signatures just quietly put on the signature necessary to face a blank sheet of paper or a blank document. A program of domestic developers have the keys on usb flash drives, which guarantee the use of this product according to the purchased licenses, as well as provide a certain level of security your organization's data. In case if the flash key is lost, it is useful to make a copy of the usbkey. This can be done using software Dekart Key Manager. Download Dekart Key Manager from official developer website at http://www.dekart.com/. The program is paid, so in the section Download will download available for registered users only. Register online by entering basic information, and email address. Install the program on the hard drive. Generally such software is always installed in the system root drive of the hard drive. Launch the program by double-clicking on the launch file with the icon for the application. The main window is divided in three areas: on top a menu with the controls on the left of the media Manager, right - details of selected media. 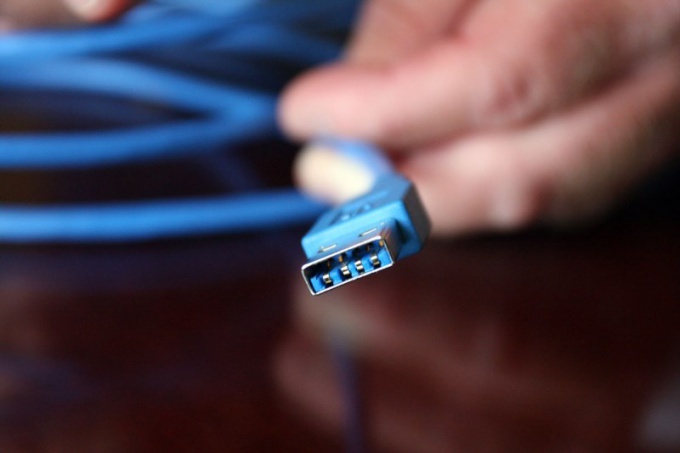 Connect the usb media to the PC. Select the drive on the left side of the program window Dekart Key Manager. 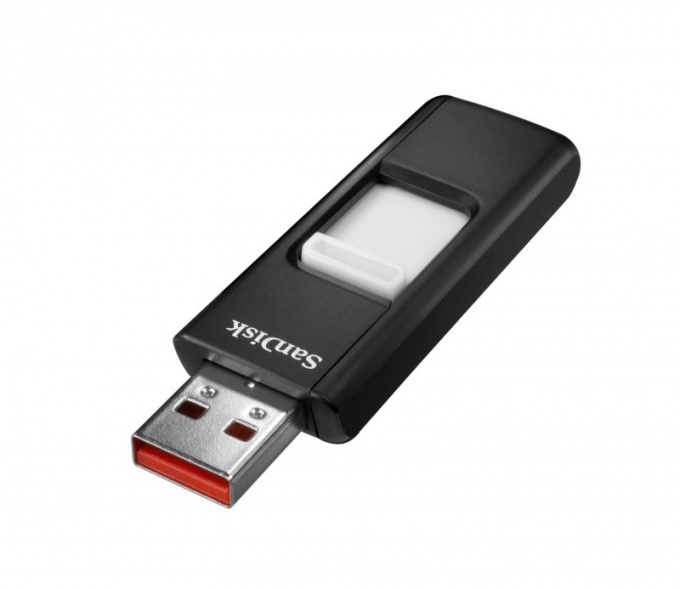 You can use a stick with a small volume, and can under thekeybe a special external hard drives. Create a copy of the keyusing the Save item menu. Save a copy in a special directory on your hard drive, not to forget, and not to accidentally delete the recorded information. Create a copy of the key to a new media, connecting a USB flash drive to the computer and selecting the appropriate item from the Edit menu. You can also set a PIN code for the carrier or change it. You can view the media contents of a usb key, using Dekart Key Manager. It is not necessary to remove the contents of the drive without checking the operability of the copy key. Try to keep copies of all important information on multiple media, as viruses can get into your personal computer and infect or delete all information from a hard disk. Many paid programs are available with key access. When you purchase the program from the manufacturer or its dealer except ROM distribution the user gets a usb drive with a private key to access the program. If a user loses the media, he will have to contact the organization representative for key recovery. Download to the hard drive the program Dekart Key Manager and install the operating system. You can find on the website allsoft.ru. This program is paid software, and for the opportunity to use you have to pay the developer. Try a similar software to install to the system directory of the local disk on a personal computer. Run the program by clicking the shortcut on the desktop or via menu "start". The main window is divided into two areas with the main-menu control over them. On the left a list of connected devices with keys, to the right the contents of the selected container. Plug the new usb key with the buttons of the control program. Create a copy of the key, click on the corresponding menu item File – Save As or the Open icon. You can insert various types of media. As a rule, mark and the volume of the media role in this operation is not playing. Create a copy of an existing key to another usb drive with the program. 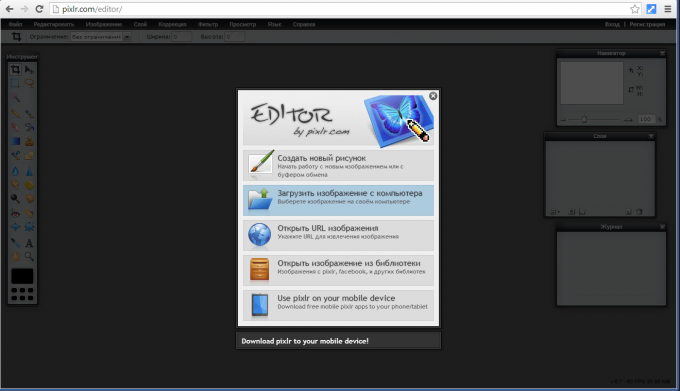 Select the menu item Edit – Copy to. In the ensuing window select the media to copy and click Copy. Media content key is fully copied onto a USB drive. An important disadvantage of this program is the lack of support for modern operating systems. Development versions of the program stayed on the level of Windows XP, and when running under Windows 7 possible unexpected errors in the application. It is also worth noting that for more reliable performance you need to use a licensed antivirus software, ensure that your PC is protected from intrusion of various malicious programs.